I have interviewed composer Michael Giacchino for The New York Times, the Los Angeles Times and, most often, for Variety. Yesterday was a rare instance of me doing so in a public forum. 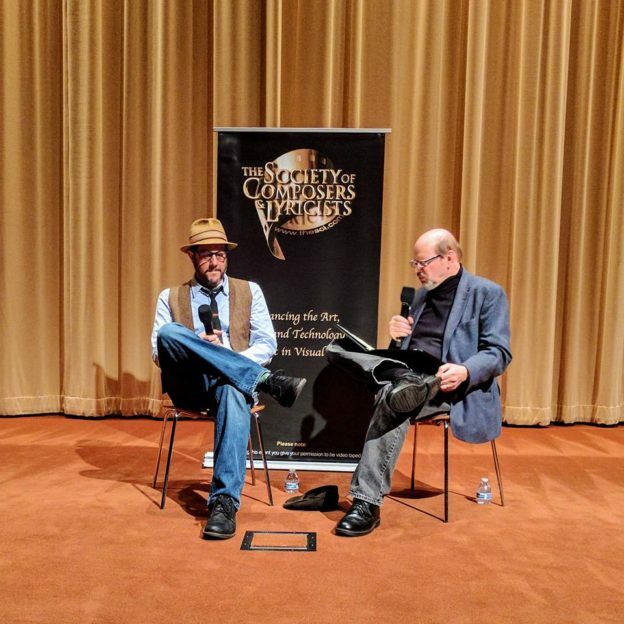 Giacchino (whose 2016 films already included Star Trek Beyond, Zootopia and Doctor Strange) joined me onstage at the Linwood Dunn theater in Hollywood for a Society of Composers & Lyricists screening of Rogue One: A Star Wars Story. As always, he was candid and funny, talking about the rushed schedule, finding the right John Williams-style sound for the film, and his plans for next year (which include Spider Man: Homecoming and War for the Planet of the Apes).